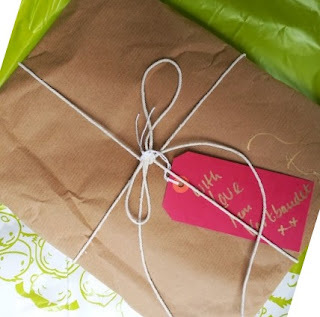 When I had the opportunity to review Vertbaudet children's clothes I leapt at the chance. My daughter had several gorgeous pieces from them when she was small, including the dress, hat and bag she wore to my sister's Wedding! The packaging was really lovely and special, and what was inside wasn't a let down. 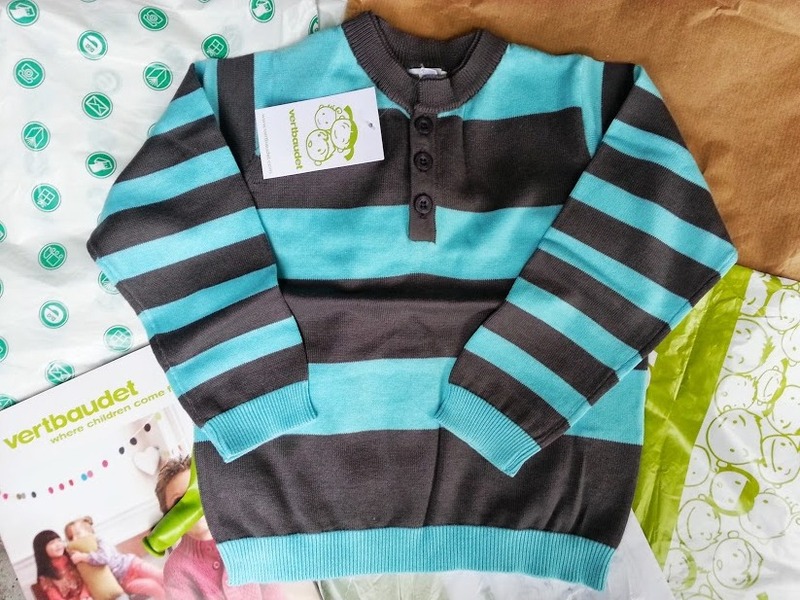 A gorgeous striped 100% cotton jersey jumper in really lovely and somewhat unusual colours. The jumper is really nicely made and very soft. It has a double round neckline, ribbed cuffs and hem and 3 buttons at the neck to make it easy to put on and take off. This sweater is available in sizes from 2years up to 14 years, and in 3 different colours. It's also very special as for every one of these jumpers sold, Vertbaudet will donate £1 to UNICEF. 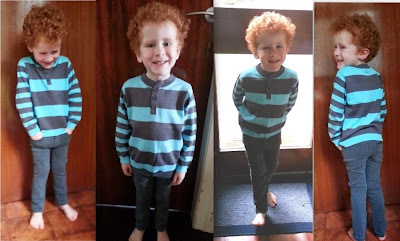 I've washed and dried my jumper and it really has made no difference, it looks and feels every bit as nice as it did before, and my 4 year old is very happy with it - as you can tell from the photo's! Aaaah, he looks so sweet, and very cool in that jumper! 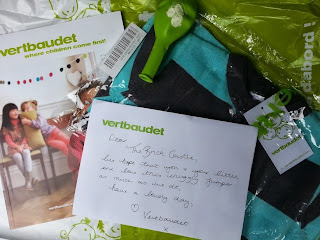 We love Vertbaudet clothes too. love the look of this jumper! it is good to know they are donating to UNICEF! The jumper look so lovely! The jumper looks really nice and your son is so cute!